Well my mission to try some new dairy free milks has not been that successful. 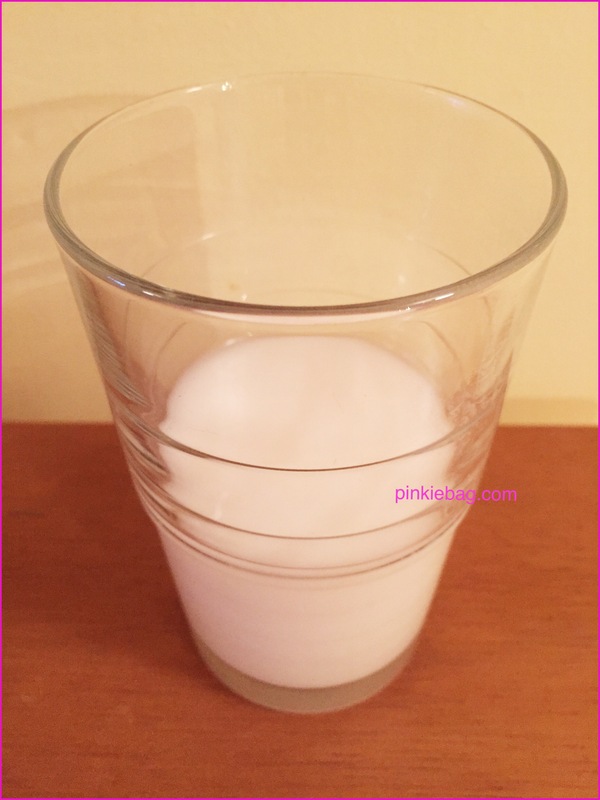 So I have been trying to make a real effort lately and try some new varieties of dairy free milk. So I headed onto Ocado and searched for dairy free milk. 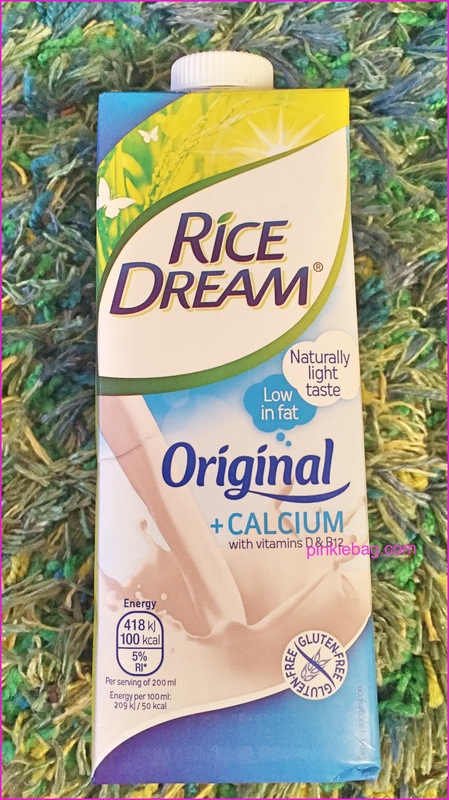 One milk that seemed to grab my attention was Rice Dream rice milk. Now I’ve never tried rice milk before so I decided to give it a try. I liked the blue and green colour to the packaging with a picture of milk cascading to the bottom. 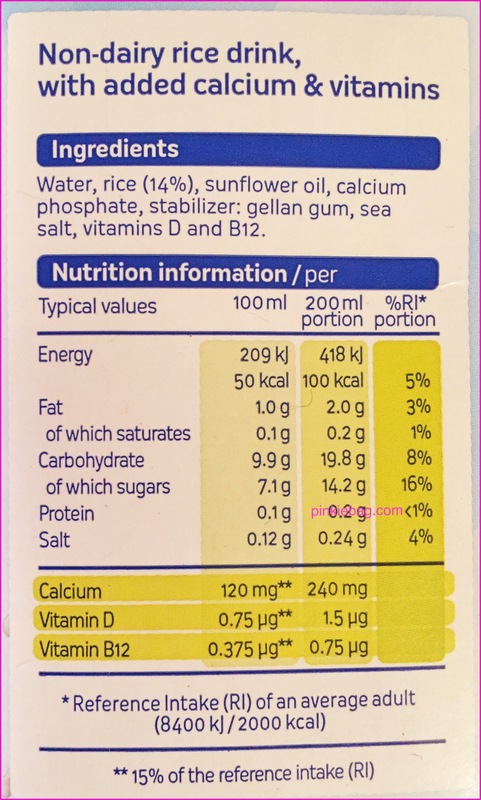 The ingredients list is on the side of the carton with water, rice (14%), calcium, phosphate, stabilizer: gellan gum, sea salt vitamins D and B12 listed. There is no may contain warning. The milk is labelled as being dairy free, gluten free and suitable for vegans. On opening the carton I was surprised that there was only a faint and subtle rice aroma to the milk. In fact it smelt pretty neutral and did not change on my famous close up sniff test. This was a little disappointing if I am honest as I expected this to be much stronger. It poured easily into a glass and was a light white colour. It was slightly thin and very watery in consistency. On sipping the milk it had a very similar texture to that of water. There was definitely a ricie element which was subtle but not to overpowering. The best way I can describe this is if you don’t quiet drain your rice properly and have a bit of the water on your plate it’s very similar to this with a little sweetness added. I also warmed the milk for 90 seconds in the microwave ready for my famous Weetabix test. It microwaved well and did not separate or form a skin to the top of the milk. Its aroma remained the same I had hoped that the aroma may intensify slightly, but this may be a tad unfair. The milk was absorbed easily by the Weetabix. In fact I needed a higher volume compared to other milks to try to get the Weetabix the way I like them. Sadly, this didn’t happen it was just like I had added water, which I have done previously when I have forgotten to take my milk to work. On tasting the Weetabix it didn’t impact on its flavour. I viewed this as a positive this may sound a little strange but a couple of milks that I have previously tried have made my Weetabix have an artificially slightly sweet flavour. I personally don’t like this and like to my Weetabix to be as plain as possible. So would I recommend this rice milk? No I wouldn’t its thin consistency and the lack of flavour made it an unappealing milk. So if you follow a dairy free, gluten free or vegan diet perhaps give this milk a miss. Sorry Rice Dream but this really wasn’t to my liking.